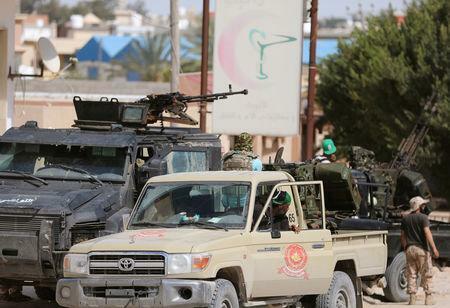 TRIPOLI (Reuters) - Eastern-based forces battled troops loyal to the Tripoli government in the outskirts of Libya's capital on Wednesday as thousands of residents fled the fighting. Since then, political and armed factions have vied for power and control of the North African country's oil wealth. 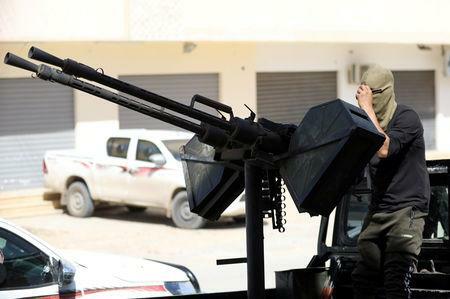 After a battle for Tripoli in 2014, the country split into rival eastern and western administrations linked to shifting military alliances. 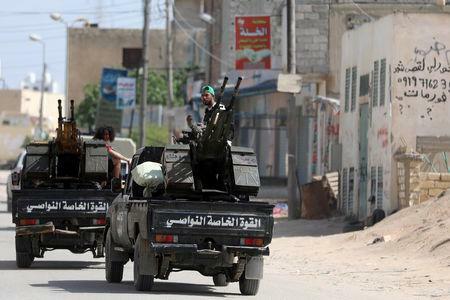 The U.N. Security Council met behind closed doors on Wednesday with Secretary-General Antonio Guterres, who said there was still time for a ceasefire "to avoid the worst, which would be a dramatic, bloody battle for Tripoli." "We have a very dangerous situation and it is clear that we absolutely need to stop it," Guterres told reporters after the meeting. Summarizing the council discussion, German U.N. Ambassador Christoph Heusgen, the current president of the 15-member body, said others echoed Guterres' call for a ceasefire. Haftar's forces published on Facebook a video purporting to show their seizure of a government base in the Aziziya district of southern Tripoli. The images, which could not be verified, showed a vehicle on fire and soldiers firing in the air, shouting "Allahu Akbar! ", or "God is greatest" in Arabic. The U.N. humanitarian agency OCHA said it was extremely concerned about the "disproportionate and indiscriminate use" of explosive weapons in densely-populated areas. Despite the conflict's flare-up, normal life was just about continuing in Tripoli, a city of roughly 1.2 million people, though residents said prices were rising and businesses closing earlier than usual.